The idea for Fitness Buffet came to Callum Laing while he was on the treadmill “sweating off the excesses of Christmas”. The then Bangkok-based entrepreneur wondered why exercising had to be such an pain when his young toddler could run around the city’s sun-kissed parks without a care in the world. Laing is founder and CEO of the service which takes an alternative approach to the art, or pain, of getting fit. The Singapore-based firm offers a selection of fitness and well being services at a competitive price, claiming that its $99 packages are worth more than $1,000. It is aimed at those looking to tone up, slim down or simply exercise, but the onus is most definitely on having a good time. Brit Laing’s vision began in Bangkok, where had lived for 9 years whilst running an events company and the annual Samui International Yacht Regatta, so how did he shift his scope so dramatically? In short, he saw a disconnect that he felt stiffled those with good intentions from getting into regular exercise regimes. With Fitness Buffet, he saw a chance to address this. Laing began speaking to smaller outfits that specialised in niche exercise programs, such as yoga, dance classes, Muay Thai kickboxing and more, with the aim of building a package to offer buyers value. Crucially, also, Laing wanted to give the kind of diversity that is so often lacking at chain gyms. 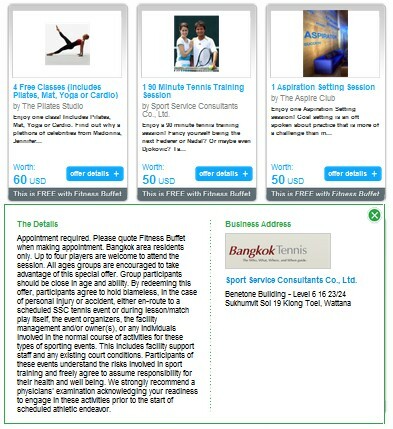 The initial testing amongst friends and selected members of the public in Bangkok garnered plenty of interest. Laing’s mind was sparked when one person asked to buy 100 sets of a package, and the possibility of offering deals in bulk for corporates thus evolved. To test the idea, Laing needed to ramp up and trial in a larger place and he chose Chicago where, thanks to a number of contacts, the service was tested using packages worth more than $1,000 with offers from more than 10 partners. The efforts in Chicago bore impressive results and Laing returned to Asia, this time Singapore, where Fitness Buffet was founded. Today the service is live and in the process of expanding to more than 25 international cities with plans to remotely open new locations across Asia Pacific, Europe and US. The team is a lean five man operation and privately funded. Inevitably it is often compared to Groupon, a comparison that Laing points out is flattering but somewhat inaccurate. While the group buying giant is focused on delivering lots of users to one venue, Fitness Buffet “delivers one customer to lots of venues” with a greater chance of repeat custom. “People may buy cupcakes on a whim but they are less likely to go to kick boxing, for example, just because its cheap, because it hurts,” Laing jokes. He believes that sampling of services is a great marketing tool and he does credit Groupon for helping more small business understand its potential. However, he argues, the real value is how businesses own each new prospect and convert them into long term, repeat spenders. With that in mind, Fitness-Buffet is aiming to provide an online portal that will help business owners with this challenge. Laing believes that this relationship is a win-win, businesses can target repeat customers while consumers get good value and variety for their money. The company is aiming to reach out and launch in new markets remotely from Singapore. Thanks to the Internet, it just needs content to open in new locations. In addition, Laing admits that there has been interest in licensing the franchise, something that he would consider if he found “the right people”. The company has seen traction amongst corporates in Thailand and Singapore, where its packages have been used for team building purposes by a number of firms, including Grant Thornton, Engage Consultants and Citrus PR. Insurance is a new vertical that Laing sees the company exploring, particular given that insurance providers are increasingly keen to see policy holders positively improve lifestyles. 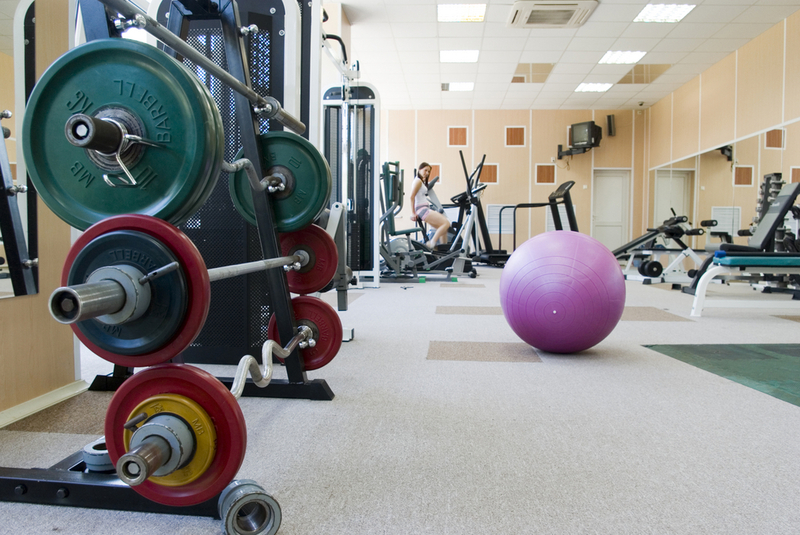 If you’re at a company that is looking for team-building activities with a twist, or if you’re a keen exerciser seeking something different, or a launchpad to get fit or active again, Fitness Buffet is certainly worth considering.